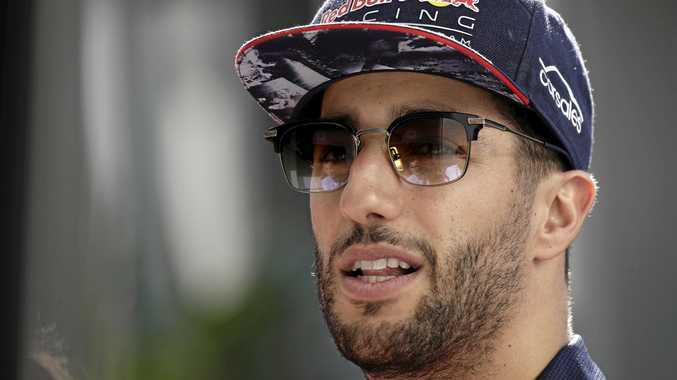 DANIEL Ricciardo's nightmare Formula One season continued in Russia - leaving Red Bull searching for answers. Ricciardo was forced to exit the race - which saw Mercedes' Valtteri Bottas claim his maiden GP victory - after informing his team over the radio his "right rear brake (was) on fire". "After the safety car I looked in my mirror to see where the Force India was and I noticed that the right rear brake was on fire, I reported it to the team and they told me to bring the car back to the pits slowly," Ricciardo said. "Unfortunately the issue could not be fixed and I had to retire from the race. "It's frustrating, on a Sunday you just build up for the race and try to store up your adrenaline to use at 3pm but today it was over very quickly. Unfortunately I didn't get as much of a fight as I would have liked." It's not the first Red Bull has had brake issues this season. Ricciardo's teammate Max Verstappen - who finished fifth in Russia - crashed out of the Bahrain GP a fortnight ago when he suffered a problem, but team principal Christian Horner isn't convinced the situations are linked. "It's a similar outcome but different issue so we need to understand the cause of it," Horner told reporters after the race. "We've got a bunch of bits at the moment so there needs to be a full investigation as to what caused the issue. "Was it a touch at the second turn? Was it something else? Because after the restart immediately the component has failed. "Everything before seemed under control so it was absolute sudden failure. It's just very strange to happen immediately after the restart." Sebastien Vettel leads the championship after finishing second in Sochi with Kimi Raikonnen in the other Ferrari in third, with Lewis Hamilton fourth.